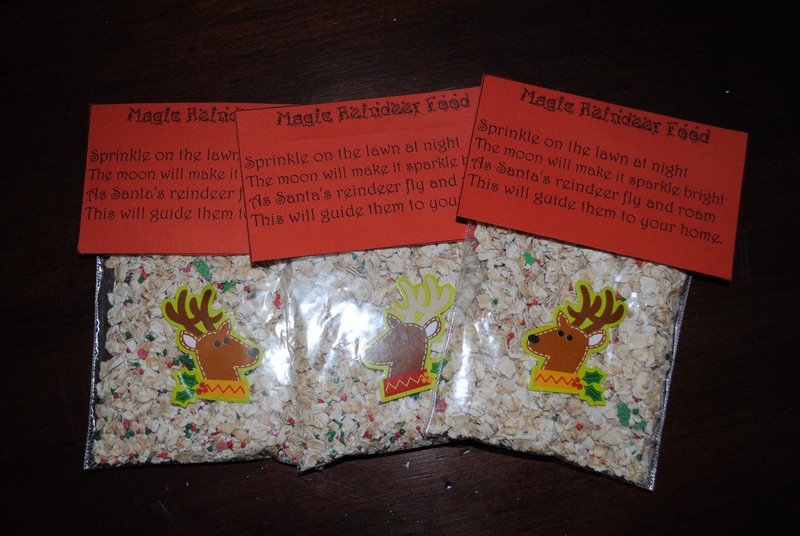 Today we made magic reindeer food for our neighbors. 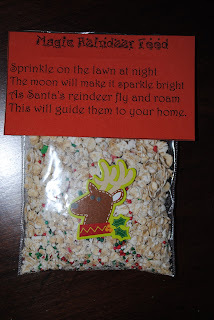 We used stale oats from our pantry and sprinkles. You can also use birdseed and cheerios for variety. 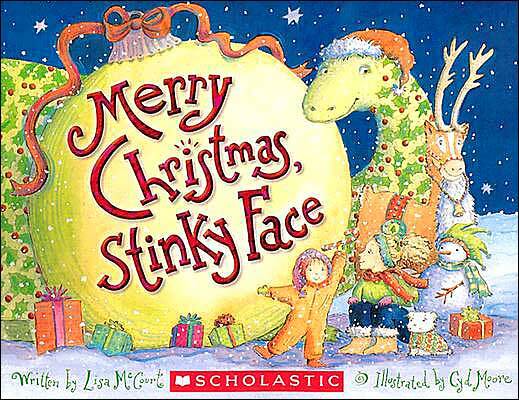 Do not use glitter as it harms the animals digestive systems.